Heat oil over medium heat in a large non-stick pan. Lower the heat to medium-low, and fry the onions, garlic, ginger and , if using, bay leaf, until onions are soft and clear, about 15 minutes. Add tomatoes, spices and chicken. Cover the pan but keep stirring frequently to make sure chicken doesn’t clump. Cook until chicken is done, about 15 minutes. 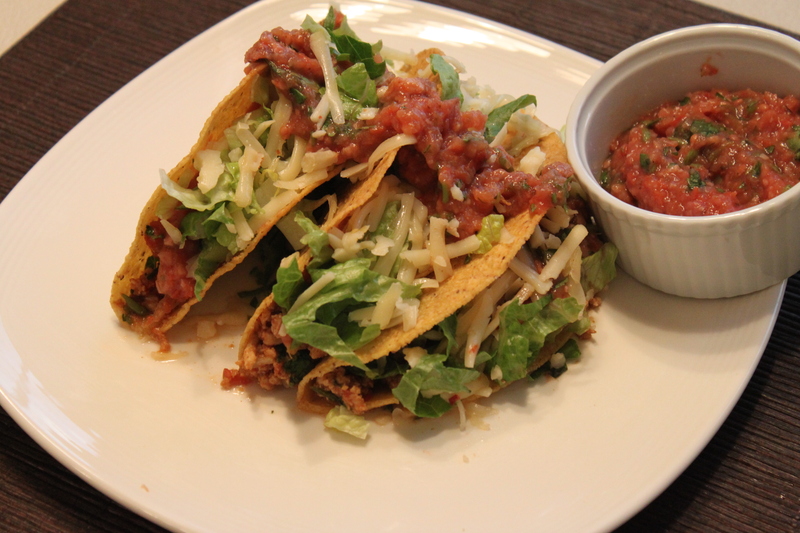 Tuck inside a whole wheat tortilla, tacos shells or a brown rice tortilla. Top with jalapeno cheese if you like and salsa, shredded lettuce and hot sauce. You can also mix with brown rice. If you’re meatless, you can use ground seitan instead of chicken.